Subway is the new king of fast food, by one measure anyway. 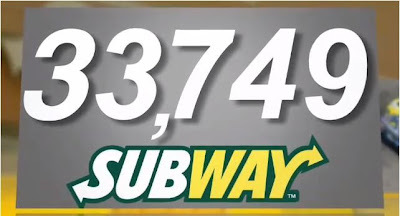 According to the Wall Street Journal, by the end of 2010 you could "eat fresh" at 33, 749 Subway locations across the globe. 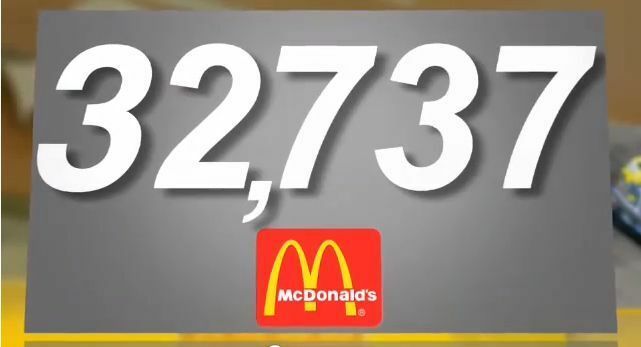 McDonald's had a measly 32,737 stores worldwide and claims it's now focusing on getting better, not just bigger. 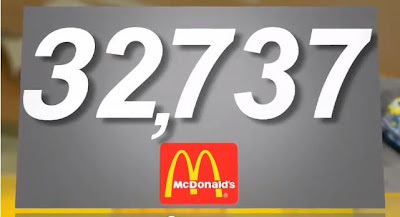 About 24,000 of Subway's restaurants are located in the United States, but a spokesman for the company says it expects its international spots to exceed that number by 2020. 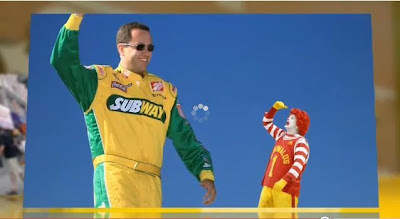 While Subway's Jared can trash-talk Ronald about having the most restaurants, 7-Eleven has the most locations of any global retail chain, having just opened its 40,000th store.